Jeffersonville Soccer Club (“JSC”) is a grassroots soccer club with a long history that focuses on player development, teamwork, and sportsmanship. 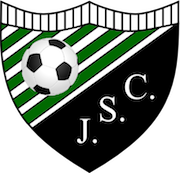 Tryouts for the 2018/2019 season have ended, but JSC still has open roster spots for a few teams. If you are interested in having your child participate, or if you know of someone interested, please contact JSC President Bill Bono (wbono@jvillesc.com) or JSC Vice President Jeff Winters (jwinters@jvillesc.com). Be sure to contact us soon, our roster spots usually fill quickly!